Location: Near Evora. Grid Reference: 39° 14' 00'' N, 7° 40' 00'' W.
Anta da Ciborro : (Dolmen). 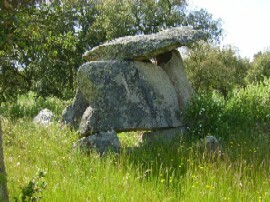 This small dolmen is on the right hand side of the road a few km's before Ciborro. 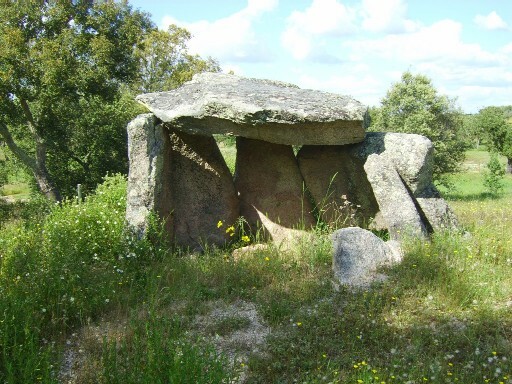 It is on a ridge, or perhaps a small mound, as the ground around the dolmen seems to be composed of small granite boulders. 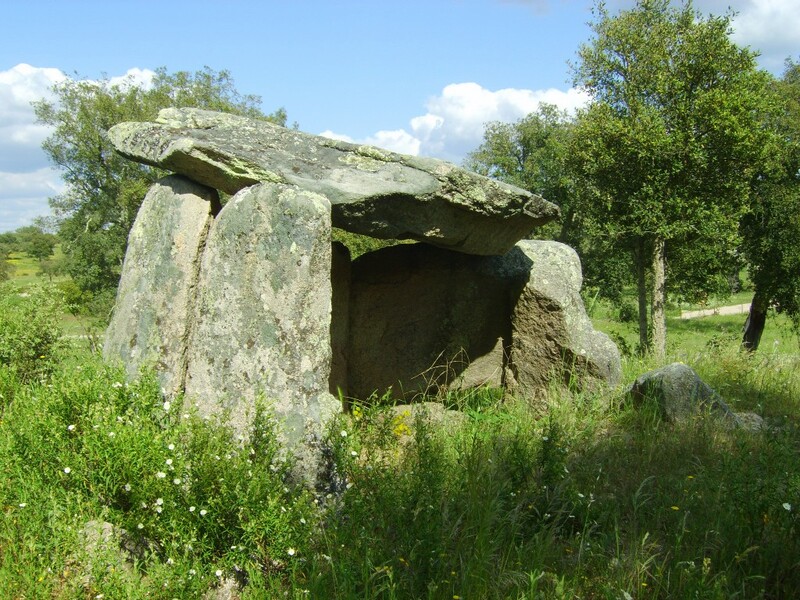 The dolmen is so small (1.5m high), that it only allows for sitting in it. Visibility from the dolmen is poor. It is composed of 6 uprights, with only three now touching the capstone. This Dolmen is on private land. 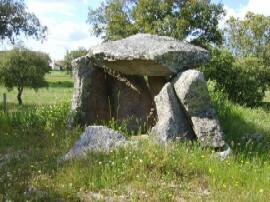 Unlike most Portuguese dolmens in this area, the opening of this one is orientated at 235°.